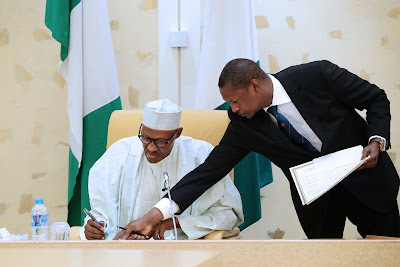 President Muhammadu Buhari on Thursday signed a deal with the United Arab Emirates, UAE, to extradite Nigerians who abscond to the middle-eastern country after committing crimes in the country. The UAE, especially Dubai, one of its major regions, is one of the major destinations of wealthy Nigerians including those who have been accused of various financial crimes, Premiumtimes reports. A former Delta State Governor, James Ibori, had escaped to Dubai when he was wanted both in Nigeria and UK for financial crimes. He was eventually extradited from there to London where he was subsequently jailed for money laundering.